100% Wheatgrass powder, unflavored. Ideal for vegan and vegetarian diets. Moringa extract powder. It provides 5000mg of Moringa leaves per serving. 100% natural product. Premium matcha green tea powder. 1000mg per serving. 15% of Polyphenols. Green tea extract powder. 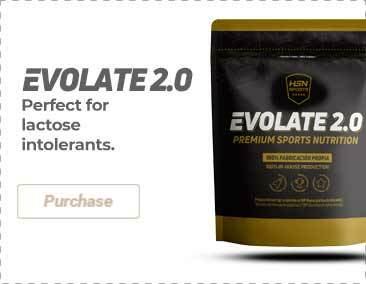 200mg per serving. With polyphenols, catechins, epigallocatechin galate and caffeine. 1279mg of Açai Berry fruit extract per daily dose. Vegetable capsules. Garcinia Cambogia Capsules. It provides 500mg of Garcinia Cambogia and 600mg of Hydroxycitric Acid per daily dose. 4:1 Damiana Extract that provides 3000mg of the Turnera diffusa plant per daily dose. Vegetable capsules suitable for vegan diets. Devil's claw root extract in vegetable capsules. With a 5% of harpagosides. Suitable for vegan diets. Rhodiola Rosea with a 3% of rosavines. It provides 400mg of Rhodiola Rosea per capsule. It provides 120mg of Ginkgo leaf extract (50:1). Vegetable capsules. 10:1 Maca extract. It provides 500mg of Maca Lepidium meyenii Walp root extract. It provides 500mg of green tea concentrate extract per vegetable capsule. With 95% of Polyphenols, 70% of Catechins and 45% of EGCG. It provides 500mg of green coffee bean extract per vegetable capsule. With caffeine and chlorogenic acid. Vegetable capsules. Andean Maca in vegetable capsules. It provides 500mg of 10:1 maca root extract per daily dose. Suitable for vegans and vegetarians. Get 3 and pay ONLY 1! 2 Compeltely FREE! Panax Ginseng Extract in vegetable capsules. It provides 800mg of panax ginseng per daily dose. With a 5% of Ginsenosides. 100% pure spirulina powder. Guaranteed quality. Spirulina in capsules. It provides 1000mg of spirulina per capsule. 100% Chlorella (Chlorella pyrenoidosa) powder. It provides 3g of Chlorella per daily dose. 25mg of cynarin (500mg of Artichoke Extract 5%) per capsule. With calcium. Suitable for vegetarians and vegans. It provides 400mg of guarana extract and 48mg of caffeine per vegetable capsule. It provides 20ml of aloe vera concentrate per daily dose. I use moringa due to its natural properties for the cardiovascular system and to lower the cholesterol. The flavour is not great, it was better after mixing it with some juice though. This product is an excellent way to take care of your health. I started using it after a surgery because I read about its properties for wound healing, but it actually has so many more! Great supply of carbs and proteins from wheat. It can be combined with recipes or shakes thanks to its neutral flavour. I used to drink moringa infusions due to its multiple properties. It helps to lower the cholesterol and hypertension, as well as being an excellent diuretic. But the taste is quite bad, so I started using this product, very handy! Nowadays there is a great variety of herbal extracts in liquid and solid form. The most usual form is in capsule form or in soluble powder. They offer so many interesting benefits for everybody’s health. The most effective herbal extracts that you’ll find on HSNstore are diuretics like green tea. Thanks to diuretics, the organism fights water retention and eliminates toxins. Through these supplements, you’ll provide the body with the nutrients that are harder to obtain through normal food. In fact, some of them contain protein to help you get your goals. In this regard, horsetail, red bilberry and milk thistle stand out. Some extract contain omega-3 fatty acids to improve the cardiovascular and immune systems. There are some of them that are made of artichoke, helping your body detox in a few days. HSNstore.com offers the best selection of natural herbal extracts, liquid or solid, with the best quality guaranteed.